This weeks tip is a small one that could help you getting rid of the occasional zit or when you have some acne. Use tea tree oil. It is a skincare, natural product that works like a disinfectant against bacteria. You can easily make your own tea tree oil spray. Just take a spraying bottle, and fill it up with purified water. Then you just put a few drops of tea tree oil in it (about 3 or 4 drops depending on the size of your spraying bottle). And you are ready to go! You can use this spray multiple times a day. You can use it in the morning, after you washed your face as an extra cleanser. You can use it before you go to sleep. You can also spray it on before or after you put your make-up on. And also just as a day-time refresher. 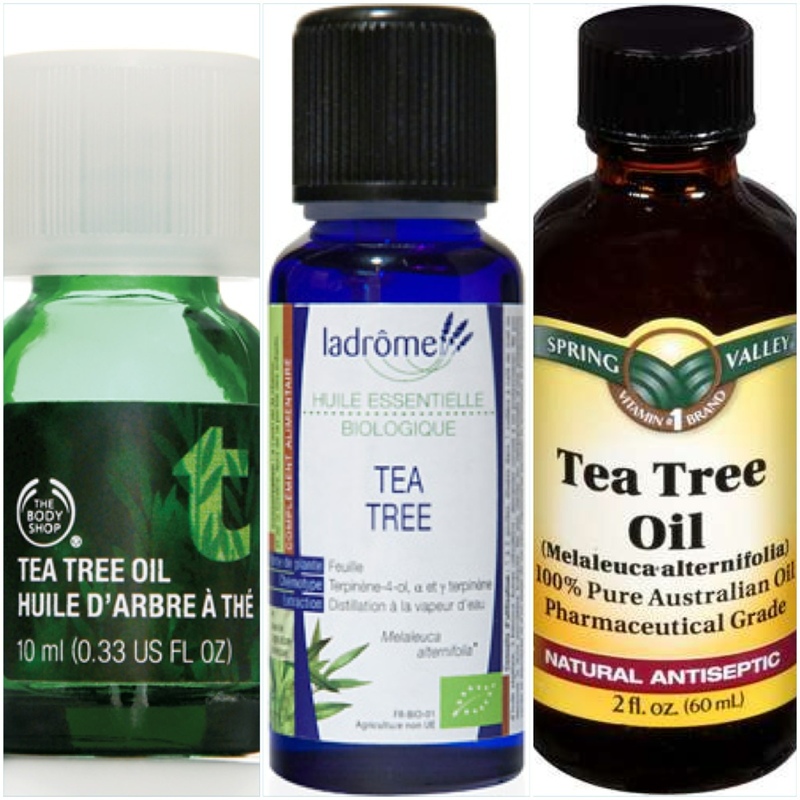 Here are some examples of tea tree oils. They can be found at your local drugstore. (In Belgium in The Body Shop, Essenza for example). 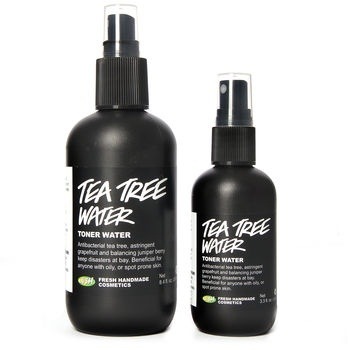 Lush has also a product containing tea tree oil (tea tree water). As a closing note I also wanted to point out that tea tree oil has also other health benefits. For more information on other health benefits you can consult the internet. Disclaimer: if you have severe acne problems, it is better to consult a dermatologist. They can give you professional advice. This entry was posted in beauty and tagged beauty, tea tree oil, tips by missnathaliexo. Bookmark the permalink.